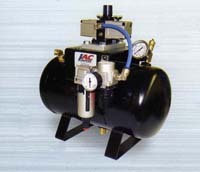 Over the years, IAC has worked with a variety of customers across numerous industries. We work with our clients, producing effective production solutions. Often, we solve production problems and build machines that others simply cannot. We know what works and what doesn’t, and more importantly, what works reliably long-term. We take the time to effectively analyze your situation and devise appropriate solutions.